It's a wonderful 5x5 print. So go ahead and click on over to http://www.whereangelshangaround.com and enter to win this print. It'll make a great addition to any nursery, bedroom, or even can you imagine this print surrounded by family pictures... WONDERFUL! 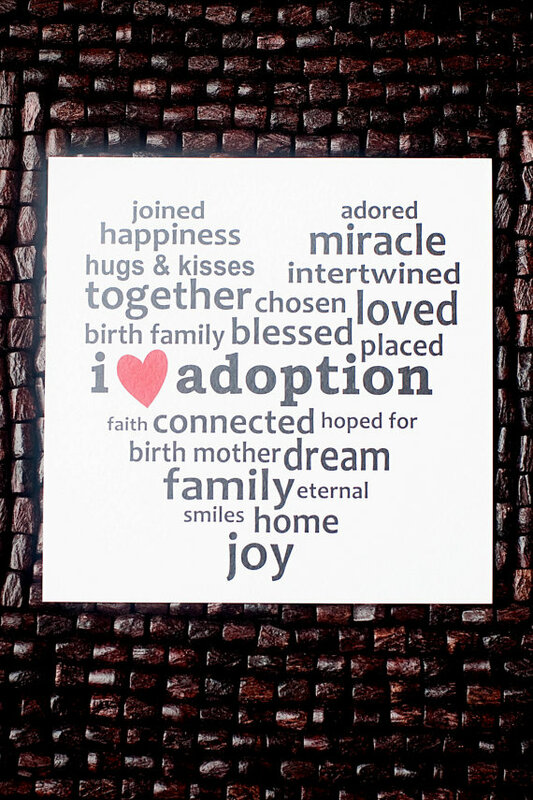 I saw your comment on LDS adoption connection, and just had to stop by and tell you how much I appreciated your words. Your story is beautiful. I dream of having that kind of relationship with our baby's birthmom that you described. We love her so much and we haven't even met her yet! I so appreciate brave women like you who are willing to share your story with the rest of us. 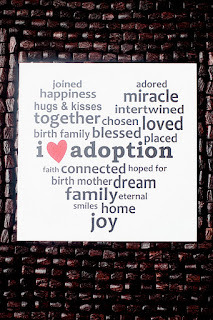 I am so grateful every time I am able to hear about adoption from a birthmother's perspective. Even though I will never be able to experience the same pain they have to go through, I want to do everything I can to learn about it and be aware of it. Thanks again so much for your blog! Oh blast, I'm signed in as Spencer, but this is actually his wife Whitney :).